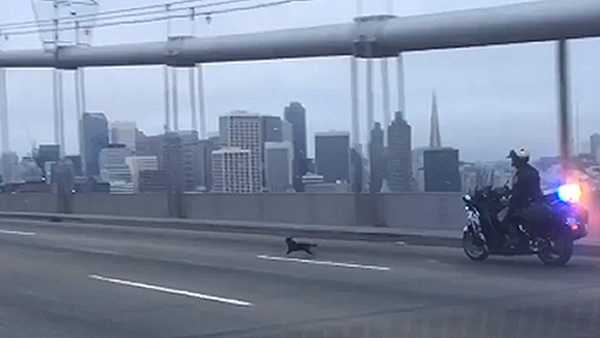 SAN FRANCISCO (KGO) -- The chihuahua that led CHP officers on a chase across the Bay Bridge has a new home. Ponch will be going home Thursday to his new family who wants to remain anonymous. Ponch got a lot of media attention after CHP video showed an officer chasing him over the western span, stopping traffic. Officials said his owner never claimed him and San Francisco County Animal Care has been caring for him ever since Ponch was rescued.